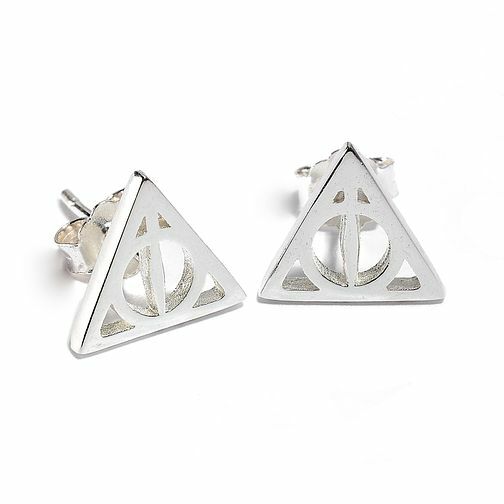 Showcase your love of all things Harry Potter, whilst making a bold fashion statement with these unique sterling silver deathly hallows stud earrings. Harry Potter Sterling Silver Deathly Hallows Stud Earrings is rated 4.9 out of 5 by 19. Rated 5 out of 5 by Anonymous from Love these earrings! These earrings are brilliant - perfectly finished! Rated 5 out of 5 by Anonymous from Great product and service This made the perfect xmas gift and came the next day without requesting this and during xmas period. Very happy!